The various documents that comprise the Final Neighbourhood Plan are below. Comments can be sent to admin@stokefleming.org or handed in at the Post Office or Library. Under the terms of the Localism Act 2011, local councils are able to draw up Neighbourhood Plans which will establish a framework for planning and development within their area. Everyone in the community will be able to have a say in the content of the Plan, which will cover such things as housing, commercial development, roads, public spaces, community facilities and amenities, transport, access and parking. Neighbourhood Plans will help communities set out what they do want to see happen, and as importantly what they do NOT want to see happen, over the next 20 to 25 years. They will help communities grow and remain sustainable, while protecting the built and natural environment and valued community amenities. 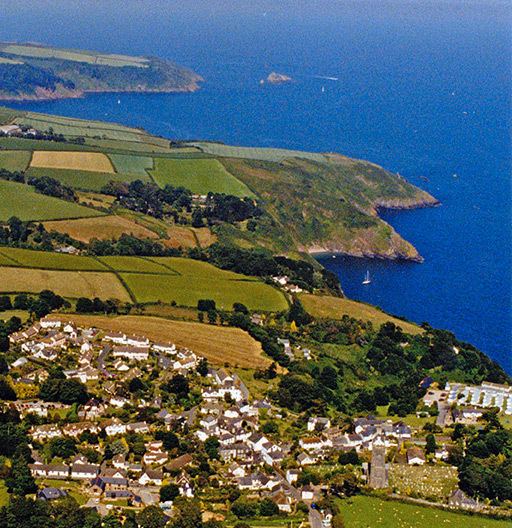 Each Neighbourhood Plan will sit within a wider area plan –in our case the South Hams Area Plan. The public will be consulted as the Plan is developed, and views expressed by local people will help shape the content. In due course a final version of the Plan will be published and a referendum will be held. The Neighbourhood Plan will be adopted if a majority of people vote for it. Decide on immediate priorities – what could be achieved in the next five years – and long-term ones. Ensure these are what people within the community want, and how they want them. 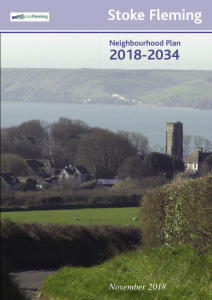 Conflict with the strategic policies in the wider South Hams Area Plan. Propose less development than is set out in the Area Plan, or prevent development that is included in the Area Plan. Be in breach of national planning laws or EU legislation. What new housing is needed, what for, where should it be and what should it look like. Also, where housing should NOT go, and what it should NOT look like. Bring vacant or derelict buildings back into use. Whether the local economy would benefit from limited commercial development that would allow local people the opportunity to start up their own businesses and generate employment opportunities. If so, where could units go? With a growing village population – and more housing – are there existing or foreseeable communication and access problems, and what could be done to alleviate them? Consider the need for additional car parking. Protect existing public spaces and recreation facilities, and earmark sites for new ones. Enhance those that already exist. Plan for the provision of school, health, recreation and other facilities. Preserve and enhance the character of the locality. Ensure that new development is compatible with the built and natural environment. Ensure that the needs of the outlying areas of the parish are considered and taken into account. Once the Plan is in place, give planning permission for things the community wants to see happen. All meetings of the Steering Group (Steering Group please see Terms of Reference) are open to the public. Minutes and Agendas are available as pdf files on the website under Neighbourhood Plan. An abbreviated version of the minutes is published in the Stoke Fleming Magazine.